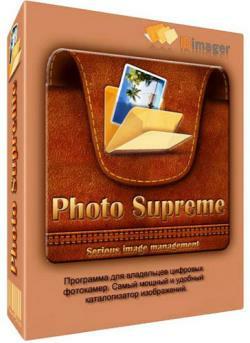 IdImager Photo Supreme 4.3.3.2058 Multilingual . IdImager Photo Supreme 4.3.3.2054 Multilingual . Do you own a digital camera or do you have a large collection of images to manage? Then in no time finding that one image you are looking for becomes a chore. But Photo Supreme can change all that. Photo Supremes integrated cataloging and management features will help you quickly find and work with your desired image.